Judge Brett Kavanaugh emerged from his Senate Judiciary Committee hearings in fairly good shape. 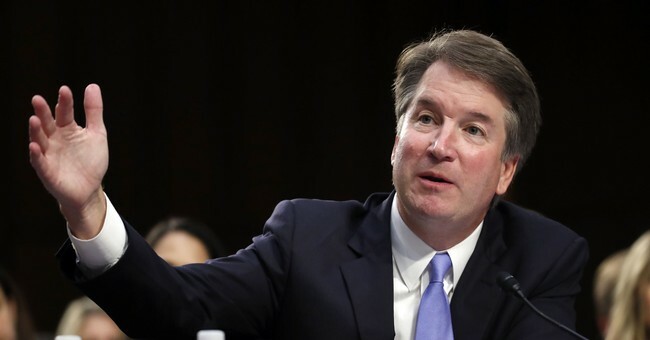 The Republican nominee to the Supreme Court presented a reasonable man who respects stare decisis and will tread carefully on clear precedents where strong public sentiments warrant against wholesale change — abortion, gay marriage and the like. Where he can be most expected to be agent of change is on issues where Supreme Court decisions have been less than fully clear — affirmative action — and business regulations. Kavanaugh is deeply skeptical of the “administrative state” — in particular, the penchant for presidents and unelected federal appointees to enact policy, regulate markets and constrain private behavior in areas where Congress has been silent—for example, the Environmental Protection Agency’s unilateral limits on greenhouse-gas emissions. Congress cannot write precise rules into statutes — issues are too complex and good policy choices change as market structures and scientific knowledge evolve. For example, the Food and Drug Administration, subject to goals set out in law, determines which drugs are legal for sale and how tightly some medications are controlled. Some reasonable latitude must be afforded the agency as new treatments become available. However, this is quite another thing from the legislative authority presidents and bureaucrats have arrogated from Congress as a consequence of a 1984 Supreme Court decision involving the EPA and Chevron. It states that when a law is unclear the court should defer to a reasonable interpretation by the federal agency applying the law. And this latitude was further expanded to give deference to agency interpretations of regulations they write in Auer v. Robbins (1997). Hardening the impact of these double precedents is legislation that requires many regulatory agency political appointees may not be removed except for reasons of incompetence and corruption. In Humphrey’s Executor v. U.S. (1935), the Supreme Court frustrated President Franklin D. Roosevelt’s effort to remove a commissioner from the Federal Trade Commission. President Barack Obama used these precedents and the lower court case law that followed to abridge free markets without democratic accountability. He appointed left-leaning commissioners and judges to help impose a European-style economic regulatory order and constraints on civil liberties — consider the strict controls on free speech now imposed at many universities. Practically speaking, most new EU laws require consensus among its 28 member governments — a cumbersome and inadequate process. What has evolved is an administrative state that imposes rules — for example, proclaims all manner of business standards, antitrust rules and limits on individual states’ tax practices — with limited judicial oversight and often with a bias against non-European interests. Ask Amazon AMZN, +0.33% and Apple AAPL, +2.65% about the treatment they received on tax disputes or the terribly large fines Google GOOG, +0.57% must pay on administrative accusations of monopolization. Kavanaugh’s record reveals a deep suspicion of presidential and government agency overreach. Last year he reviewed Federal Communications Commission net-neutrality rules based on the reasoning that internet service providers are public utilities and could not split the internet service into fast and slow lanes. In the Harvard Law Review, he wrote “Chevron is nothing more than a judicially orchestrated shift of power from Congress to the Executive Branch,” and he has written some 40 opinions finding federal agencies actions to be unlawful or cursory. Similarly, in 2008, he dissented from a D.C. Circuit decision upholding the composition of the Public Accounting Oversight Board — the Sarbanes Oxley Act required its members could only be removed for cause, not the policies they might impose. Kavanaugh wrote, “such unaccountable power is inconsistent with liberty,” and in a 5-4 ruling the Supreme Court subsequently embraced his reasoning. Historically, Americans enjoyed greater protection of their civil liberties from an aggressive state and more robust economic growth than heavily regulated continental Europeans. Obama and the ascendant socialist wing of the Democratic Party seek to narrow those differences and no surprise, our society grew more restive, divided and less tolerant of individual freedom—and less prosperous. The true legacy of President Donald Trump may well prove to be in the appointment of justices—like Brett Kavanaugh—who reverse these encroachments on the legitimate function of markets and abridge basic freedoms. guaranteed in our Bill of Rights.